FOODS YOU CAN REGROW FROM KITCHEN SCRAPS…AMAZING!! Fresh produce is necessary for optimal health, but it gets expensive to purchase this from the store or market each week. Growing your own fruits and vegetables is the best way to ensure a regular supply and when you grow your produce from kitchen scraps, there is no cost to you. Over the course of just one month, you can save at least $100 and maybe more if you eat a lot of fresh produce. Many fruits and vegetables can be grown without seeds and you just need to know which ones. 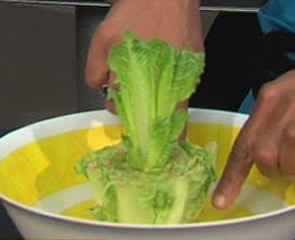 A great lettuce salad is the perfect complement to your dinner and you can grow fresh lettuce from those leaves you would normally throw away. Take those leftover leaves and put them in a bowl with about an inch of water. Over the course of about four days, mist these with water and once the roots start to grow, take these and plant them in the ground. 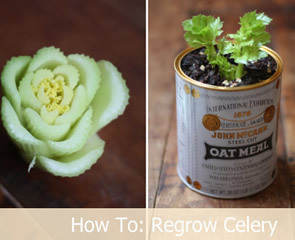 Celery is very easy to grow from kitchen scraps and all you need is the base of the celery bunch. Place a bit of warm water in a bowl and put the base in this. Make sure the bowl gets direct sunlight and after about a week once leaves start at the base, plant this in soil and wait for full growth. Tune into the Midday Show at 12.45pm for more of these interesting info…. ← Eager to meet his opponent, cousin…of team Wallabies but never the less looking to WIN! !